I am primarily a physical geographer, my specialism is in Glaciology. I spent 3 years writing a thesis based on research at Svinafellsjokull and a couple of other glaciers in Iceland. I have been out to Iceland several times, mainly for research/trips but the occasional holiday as well! I am currently a Geography NQT at Baxter College, but I have also taught undergraduate students at Keele University whilst completing my MPhil degree. I became a teacher tour leader as it was a dream job! 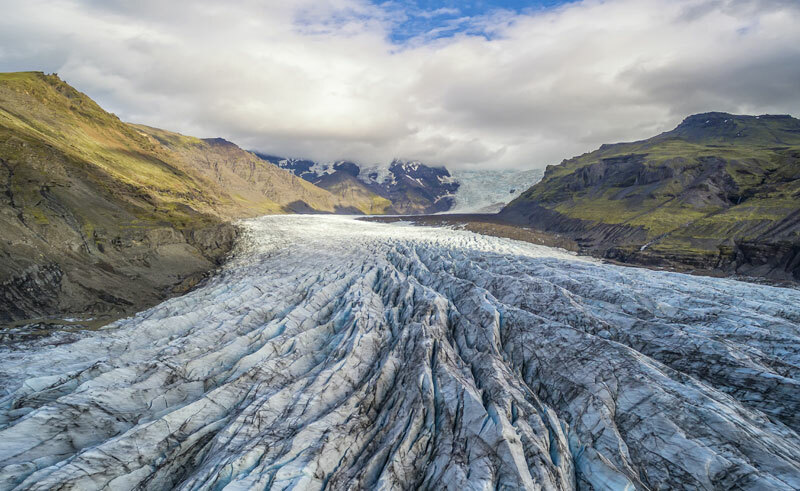 I love Iceland and even more, I love to teach others about Iceland – there’s no better feeling than watching students’ faces when they see the wonders Iceland has to offer! My favourite place in Iceland is and always will be Svinafellsjokull . I’ve spent many days (and nights) walking around the margin of the glacier carrying out research – we have a special bond now! One of my favourite things to do in Iceland is hiking in Landmannalaugar or visiting the Jokulsarlon lagoon – every time I go back I’m still blown away by it’s ethereal beauty.